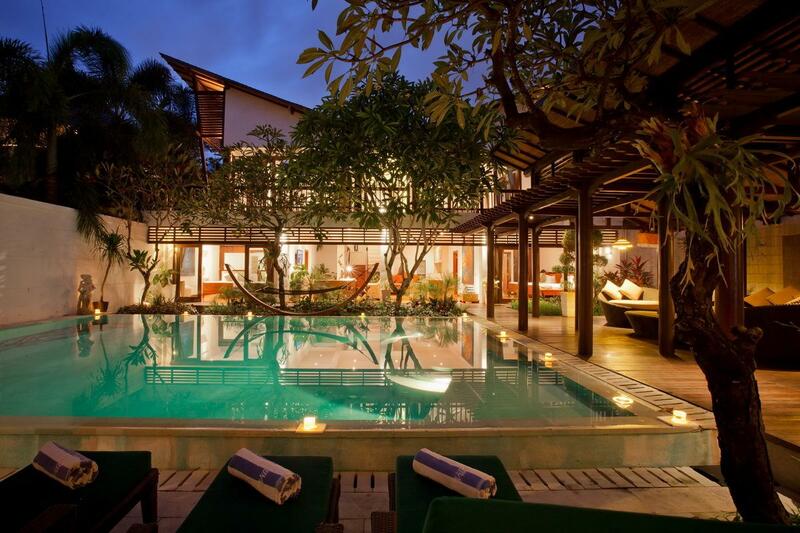 Bali Villa 330 is an award-winning villa located in the lush tropical seaside village of Sanur on Bali’s south eastern coast.Villa 330 is one of Sanur’s landmark properties. 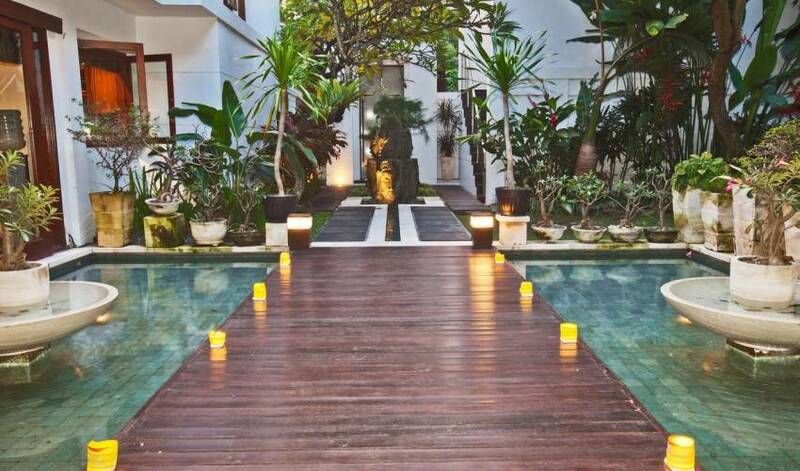 An award winning villa nestling just 200 meters from Sanur beach it offers a tranquil retreat set amongst the lush and tropical streets of this peaceful Balinese beach side gem. 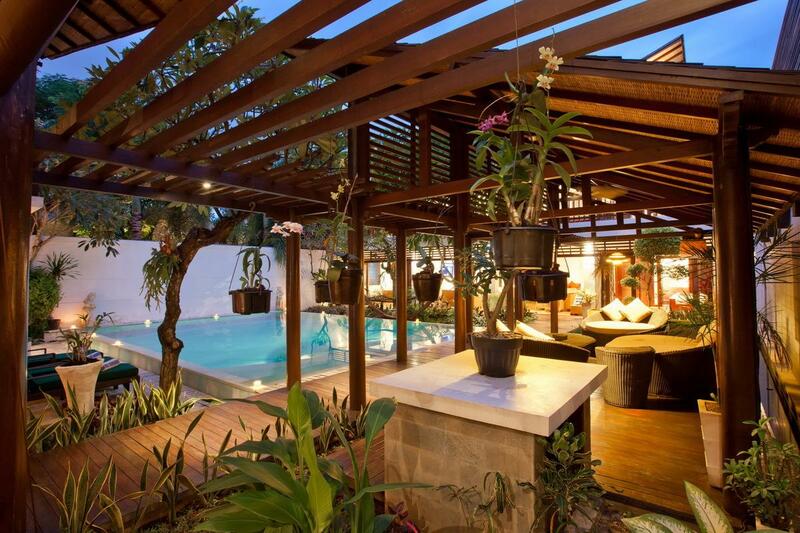 Sanur is the perfect destination for families and groups of friends seeking an exclusive seaside vacation with all the traditional highlights of the unique Balinese culture and beauty. 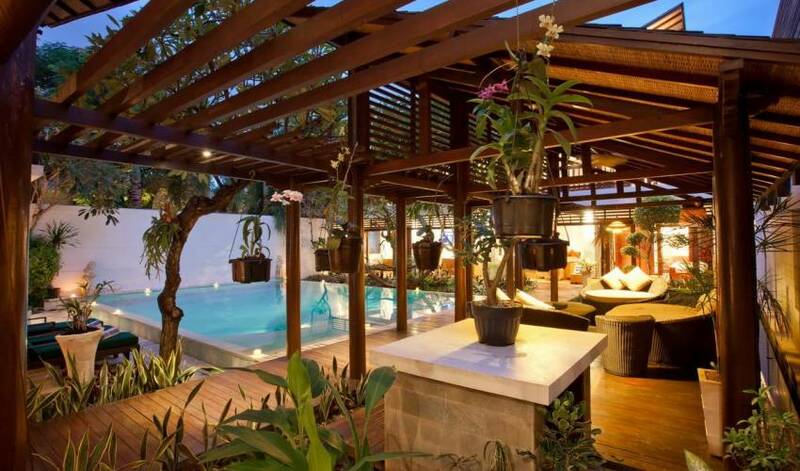 The village of Sanur, with its seven kilometer white sand beach that was voted by Forbes Traveller as one of the world’s 25 sexiest beaches, was the first and remains the most exclusive resort area in Bali. Visitors are guests in a traditional Balinese village environment that still holds a special place in Bali’s rich history and traditions. 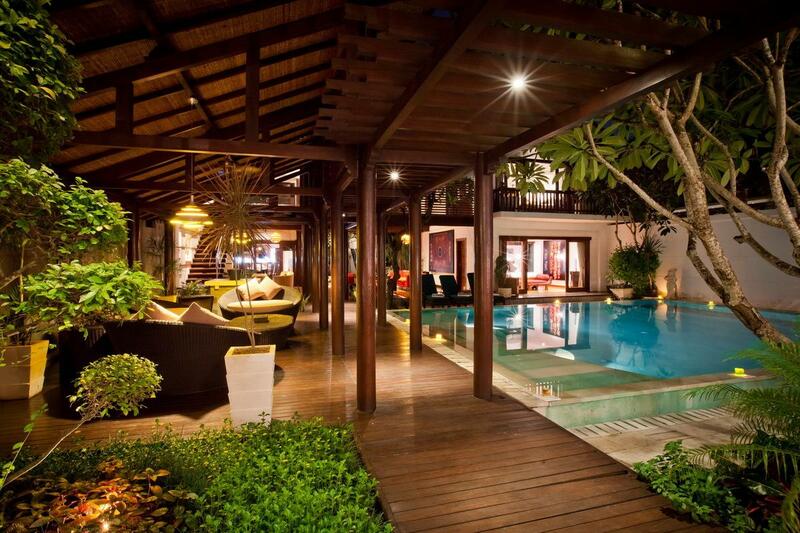 It remains the best location to access many of Bali’s best restaurants, shops and sporting activities. 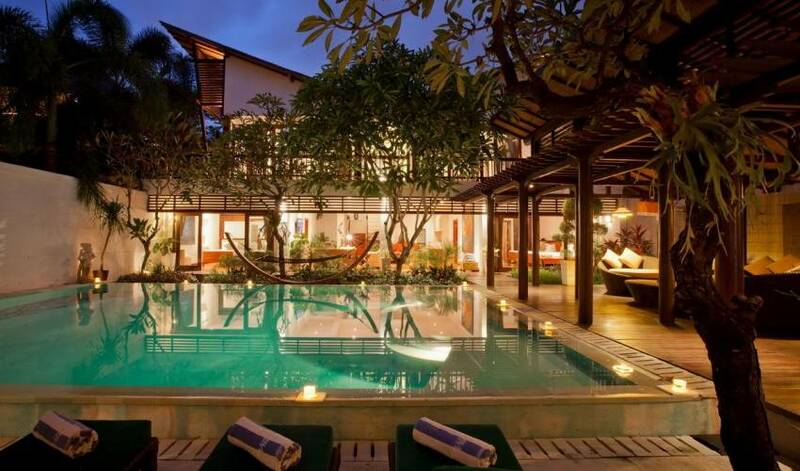 Bali Villa 330, a Conde Naste Traveller featured villa, offers the perfect base from which to explore Bali and its eclectic tourist attractions. 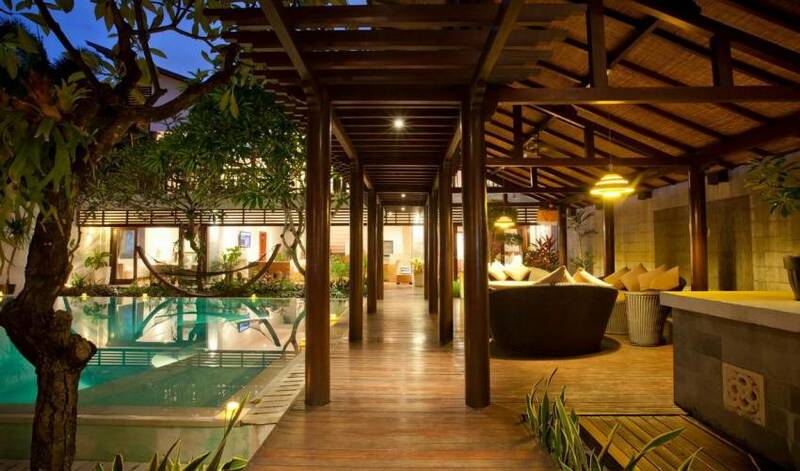 The villa was designed by Ketut Arthana and the ARTE architectural studio, one of the top architectural teams in Bali. 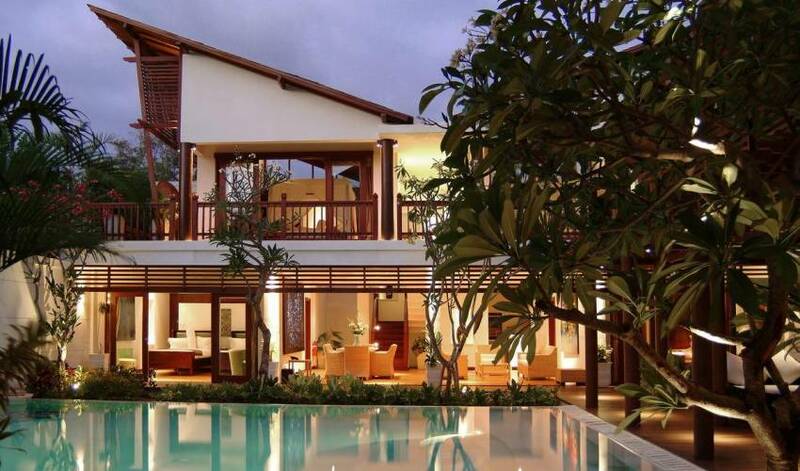 Completed in 2005 and maintained to the highest standards Villa 330 has won awards for it’s simplicity of design, use of space and harmonic combination of local materials.The villa is set amongst lush tropical gardens on a quiet tree lined street just 200 meters from Sanur’s famous white sand beach. 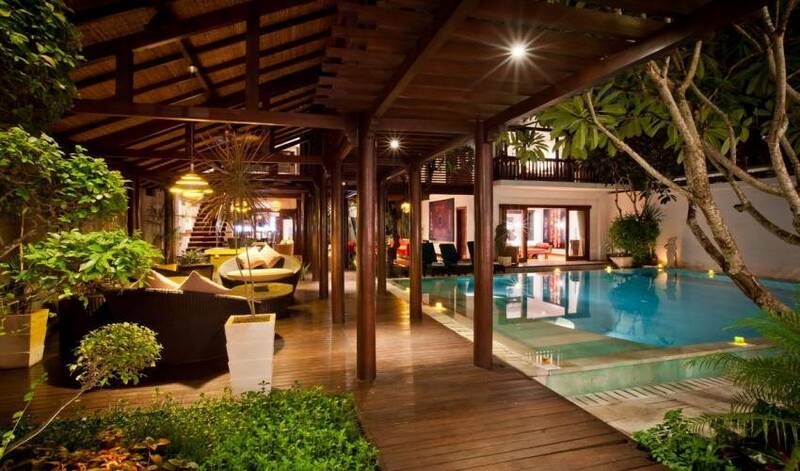 It is a short walk to all the shops, restaurants and nightlife this exclusive village resort has to offer. The villa offers accommodation for up to 12 guests arranged in six large air conditioned bedrooms with en-suite bathrooms and large private balconies in four separate buildings. The bedrooms have been equipped with the most exclusive amenities including goose-down bedding, the finest cotton sheets, bathrobes, handmade spa soaps and shampoos, a hair dryer and a safety box.Amongst the villa’s many facilities are a large library, reading room and home entertainment salon with flat screen television, cable television service and over 1000 DVD movies. In addition the villa offers 24 hour broadband internet access, an air-conditioned computer room plus WiFi coverage throughout. 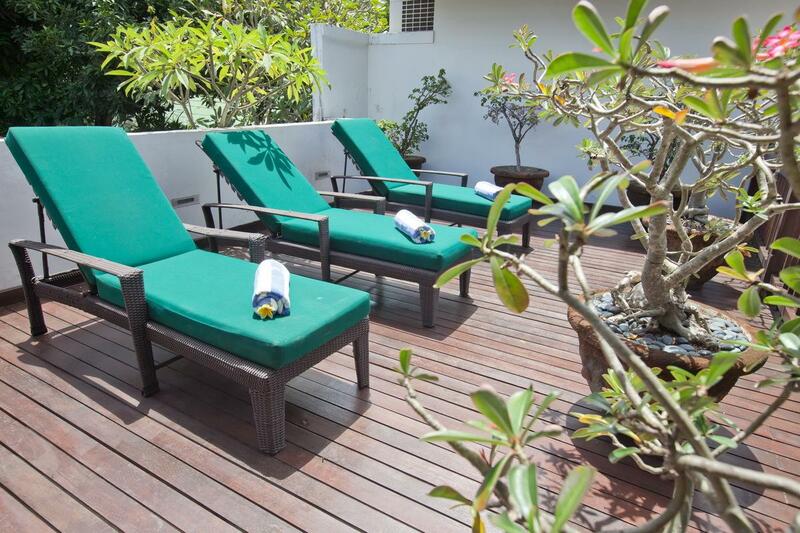 The villa boasts two reception rooms overlooking the tropical gardens. 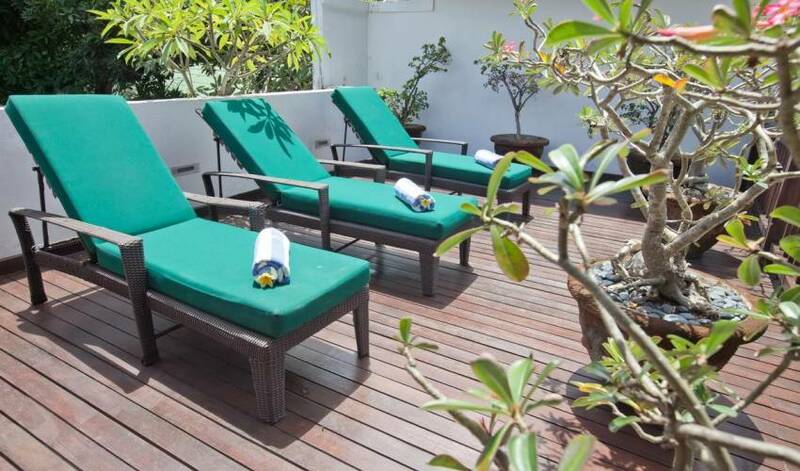 It has a 70 square meter (10 meter long) swimming pool with pool-deck and lover’s loungers and a separate terrace with a sun deck and sunbathing beds. 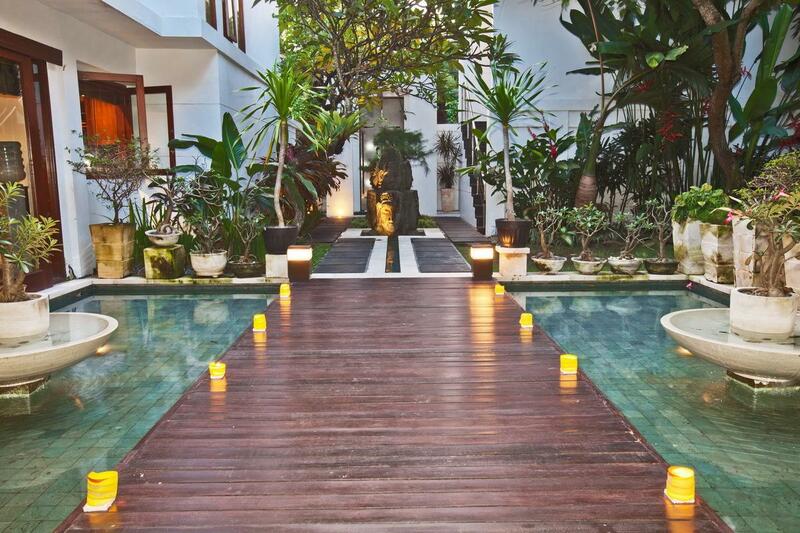 Sanur is located on Bali’s south eastern coast twenty minutes from the international airport. 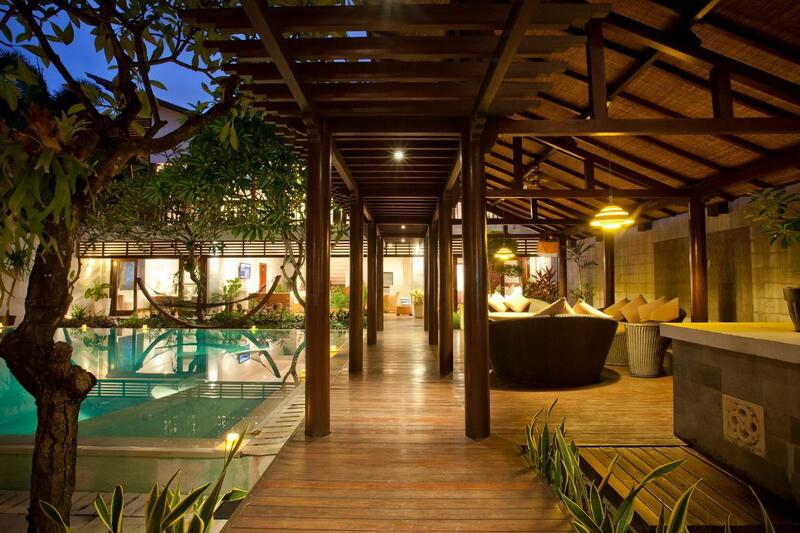 It can claim to be one of the best located and most accessible of all of Bali’s tourist destinations. The village is a 20 minute drive from Kuta and Seminyak, 40 minutes from Ubud and 15 minutes from the island’s capital city of Denpasar.Sanur village was Bali’s first tourist destination. It has been attracting visitors since the beginning of the twentieth century. Sanur’s 7 kilometer beach offers the safest swimming on the island. Surrounded by a barrier reef the beach nestles in a tidal lagoon that creates the perfect environment for every kind of water sport. The beach is lined in places with the local fishing out-rigger canoes and dotted with businesses offering every conceivable water activity including snorkeling, water skiing, jet skiing, scuba diving, inflatable banana boats, parasailing, kite surfing, wind surfing, surfing and boogie boarding, fishing, hobby cats, glass bottomed boat and ‘Seawalker’. However, although the latest water-sport craze is always quick to be introduced it is Sanur’s cultural significance that first drew visitors to its sleepy shores. It is one of the only villages still run by the Brahma priestly caste. It is not unusual to be walking down the main shopping street to find a temple ceremony with over one hundred Balinese dressed in their temple clothes, with offerings to the gods piled high on their heads to come marching past in the other direction.Sanur has a special place in the Balinese dance and music culture and there are nightly performances dotted around the village venues.Sanur offers a combination of modern and traditional that blends seamlessly like no other place on the island. This is the perfect location for families with children seeking a quiet and exclusive retreat where the Balinese tradition of politeness, hospitality and joy of life is in evidence everywhere. 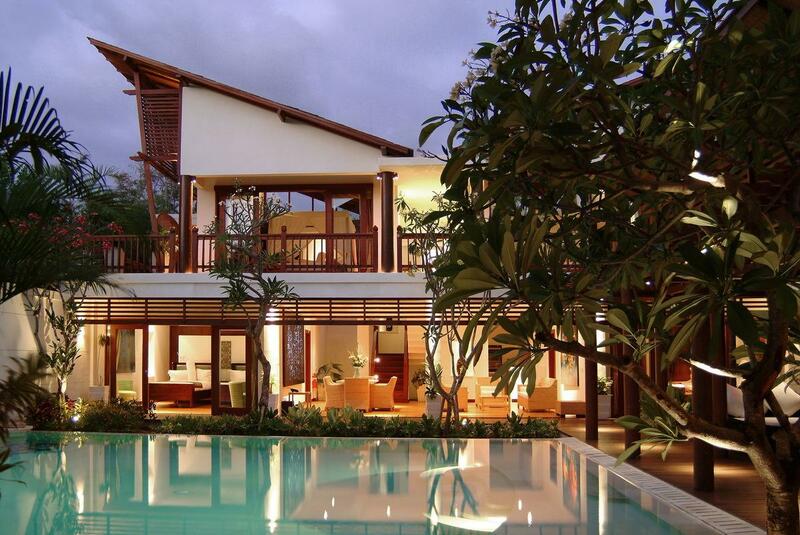 The residence at Sanur Villa 330 offers six large air-conditioned bedrooms, all with en-suite bathrooms and designed for absolute privacy and comfort. The three upstairs rooms boast an open roofed design with king-sized four-poster beds and private balconies with deck chairs and hammocks. The downstairs rooms have either king-size double beds or twin beds and feature sliding doors to an open deck and the pool. The guest rooms all have fitted wardrobes, a combination safe-box and vanity tables. All the furniture has been bespoke designed for Villa 330 with the bed linen made from the finest cotton and with goose down pillows and comforters.